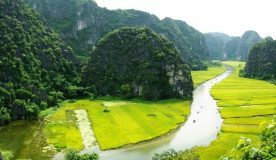 8h00-8h20: The Halong Bay Getaway 2 days tour will be started by picking up at your hotel to Halong bay, it takes 3 hours and a half in long, you have a short break on the half way. 12h15 – 12h30: Arriving Hon Gai Harbor, Ha Long City. 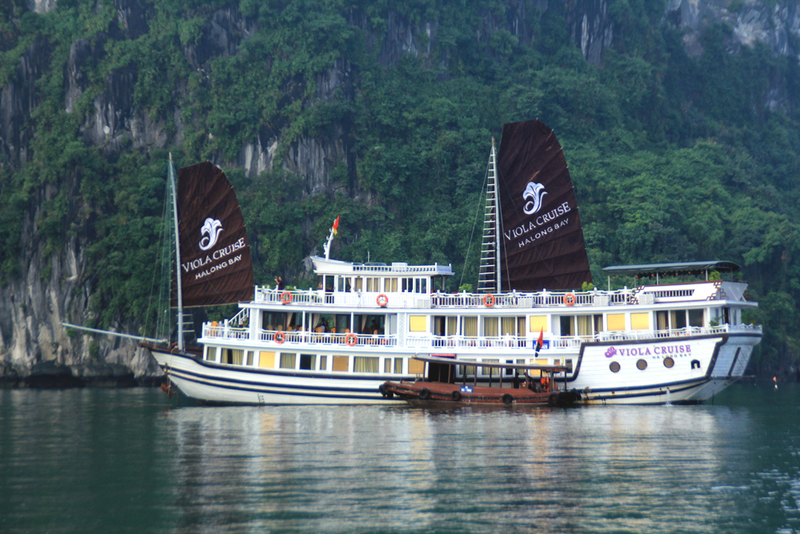 Transfer to Halong Viola Cruises by tender. 12h45: Enjoy welcome drink then check in your cabin. 13h30: Cruising through Bai Tu Long Bay & having Buffet lunch. 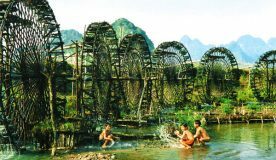 15h30: Exploring Vung Vieng Fishing Village: Guest choose to discover the daily life of the fisher communities by bamboo boat (one hour) or kayaking around Vung Vieng area (one hour). 16h30: Swimming & Sunbathing at Ban Chan Beach. 17h30: Relax and enjoy the sunset party with Happy Hour (from 5h30pm- 7h30pm) while the boat is cruising to Cong Dong-Cong Do area to anchor for overnight. 18h00: Taking part in the cooking class: Learning how to cook traditional Vietnamese Cuisines. 19h30: Enjoy the dinner time at the restaurant. 21h00: Free evening to join some activities of board games or squid fishing, karaoke (on request) Taste the variety of drink at our luxury sundeck bar (chargeable) with wines, cocktails, brandy, juices… Overnight at Cabin on Halong Viola Cruise. 21h00: Free evening to join some activities of board games or squid fishing, karaoke (on request) Taste the variety of drink at our luxury sundeck bar (chargeable) with wines, cocktails, brandy, juices… Overnight at cabin on Cruise. 09h30: Checking-out and relaxing on sundeck or watching fruits carving demonstration. 10h30: Enjoy the last scenery of the Ha Long Bay over lunch (A la carte) when the boat cruises back to shore. 12h00: Transfer back to Hanoi. 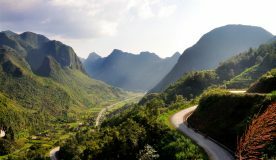 16h00 – 17h00: Arrive Hanoi and finish the tour with your satisfaction.